Makara Sankranthi 2019 Date, Sankranthi date, Makar Sankranti 2019, Makar Sankranti Date, When is Makar Sankranti in 2019? Makara Sankranti is the day when sun transits from Dhanu Rashi (Saggitarus) to Makara Rashi (Capricorn). This year Makara Sankranti is cleberated on Tuesday, 15th January 2019. Makara Sankranti is also known as the harvest festival and also marks the start of Uttarayana Punya Kala. 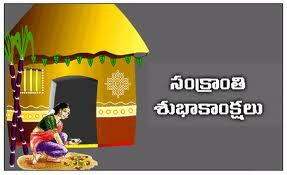 Makara Sankranti also is the start of morning for Gods. For Gods a day is for 6 months (Uttarayana) and night for six months (Dakshinayana). By Makara Sankranti the crop is cut and farmers are ready to sell their crop and celebrate with the profits made. Makara Sankranti is celebrated all across India with different names like Pongal, Maghi,Khichdi etc. In Hyderabad flying of kites on Makara Sankranti is a tradition. Few people take bath in holy river, some people cook Pongal a sweet prepared with rice, milk and Jaggery. Normally on Makra Sankranti drawing of big Rangolis is a must in most parts of the current. A lot of sweets are prepared on Makara Sankranti and distributed.